Mac OS X 10.7 and higher - OS X 10.10 Yosemite supported (32 and 64-bit). 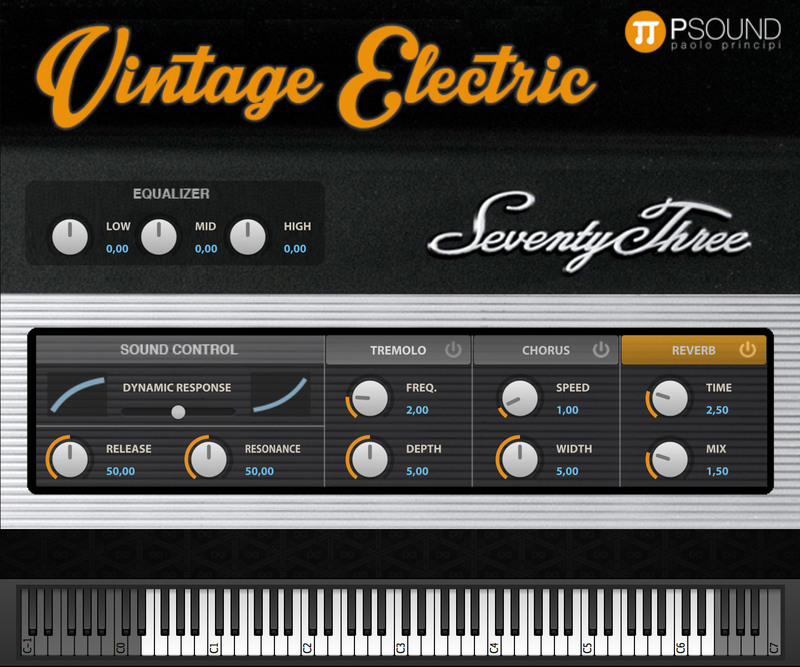 Vintage Electric is a reproduction of a vintage electric piano "Fender Rhodes Mark I" (1976) with a full range of dynamics (from soft to distortion sounds), release noise and pedal resonance. Up to 16 velocity layers. 3 round robins for key-off noise for each note. more than 2,2 GB memory storage. Reverb (on/off switch) with "time" and "mix" knobs. Tremolo and Chorus effects with controls.